Today involved researching methods of communicative tools and ways in which these tools could be utilised within the oncology service. These tools, allowed us to progress looking at designing a shared care/treatment planner which would work as a tool between patient and doctor. Inspired by the communication tools from yesterday we began to work on our own method of communication for the patients chemotherapy experience. This involved a collaborative approach which would allow the patient to feel involved in the shaping of their care plan and form a discussion with their doctor about their treatment. Further work included forming the start of our communicative artefacts and also began to plan a user testing workshop. Today we decided to take the morning to get the website up to date, including a new section of the website - Content. This part of the website would allow visitors to view completed work we have done such as insights and opportunity cards, personas, presentations etc. We also began looking at ways we could gain user feedback from the ideas and concepts we started mocking up. We looked at collaborative GSA projects as inspiration for our engagement artefacts workshop. We began today discussing ways structure a workshop we hope will take place within Lothian next week. Using a communication based icebreaker and a building brick system, we hope introduce a method for patients/staff to build a hierarchy of what they find most important and form a collaborative approach of discussing treatment options. We thought it may be useful to capture all the ideas which have arose from the project but have not been taken forward or progressed in our designs. 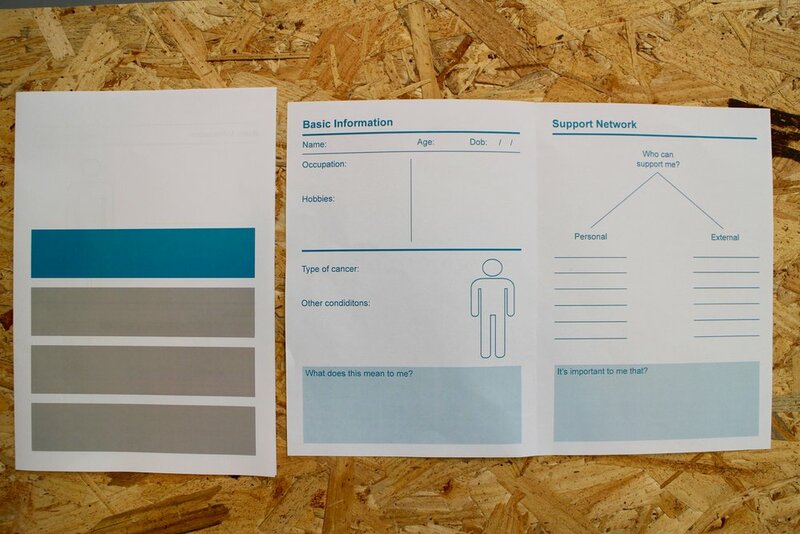 So today we began creating a Design Directions booklet as we feel would be good for the NHS going forward. This booklet would allow them to see our thoughts/feeling, ideas and other designable moments.